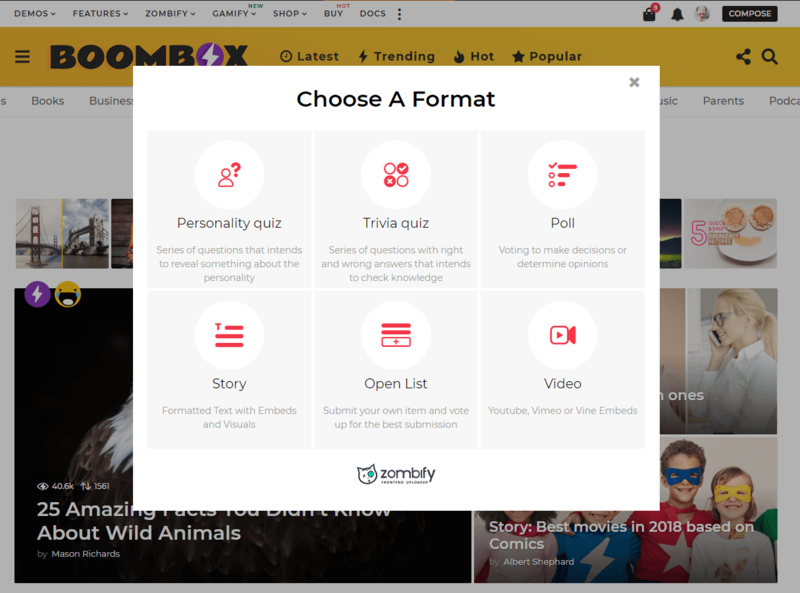 This plugin is frontend post submission tool which helps you to create personality and trivia quizzes, poll, meme, story, ranked list, open list, list, countdown, video, audio, image, and Gif post types immediately from the frontend. You can see the full list of available post types here. All posts created by contributors get pending status until the administrator or editor will not publish them. When you install plugin, create a post button automatically linked to Zombify post types page, where you can choose what post to create. 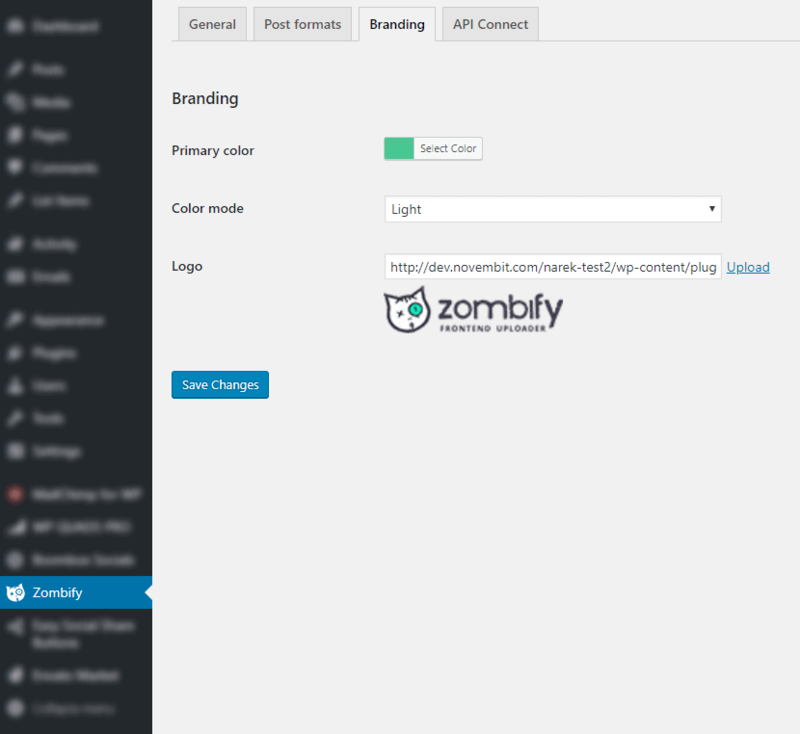 This page created automatically after installing the Zombify plugin and used to show all available post types, from which users can choose. 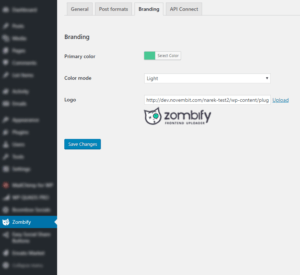 This page created automatically after installing the Zombify plugin. the max upload size per item for all image type files. 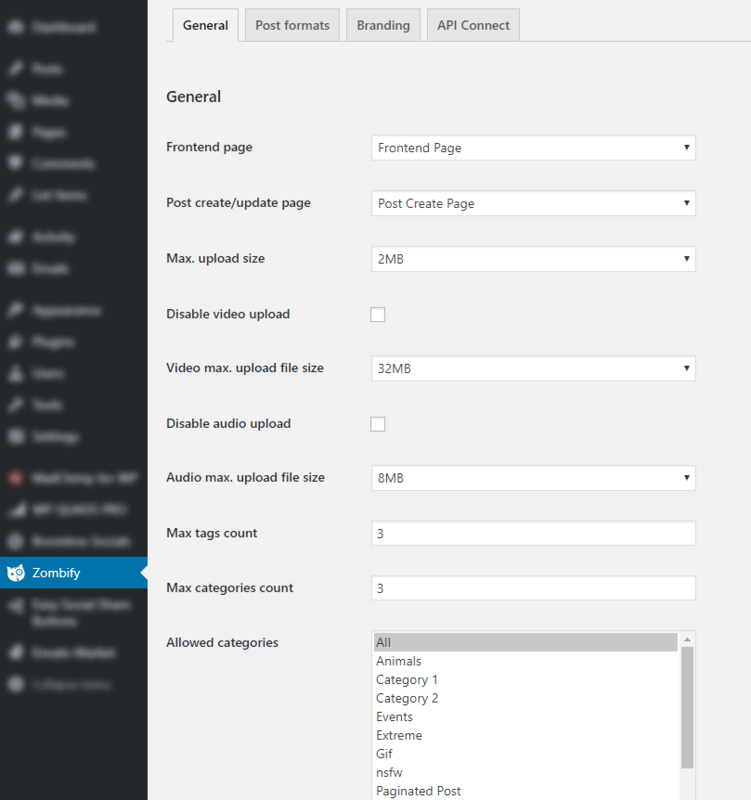 the max upload size per item for all video type files. 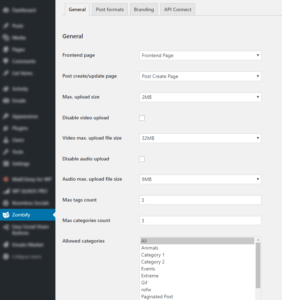 the max upload size per item for all audio type files. 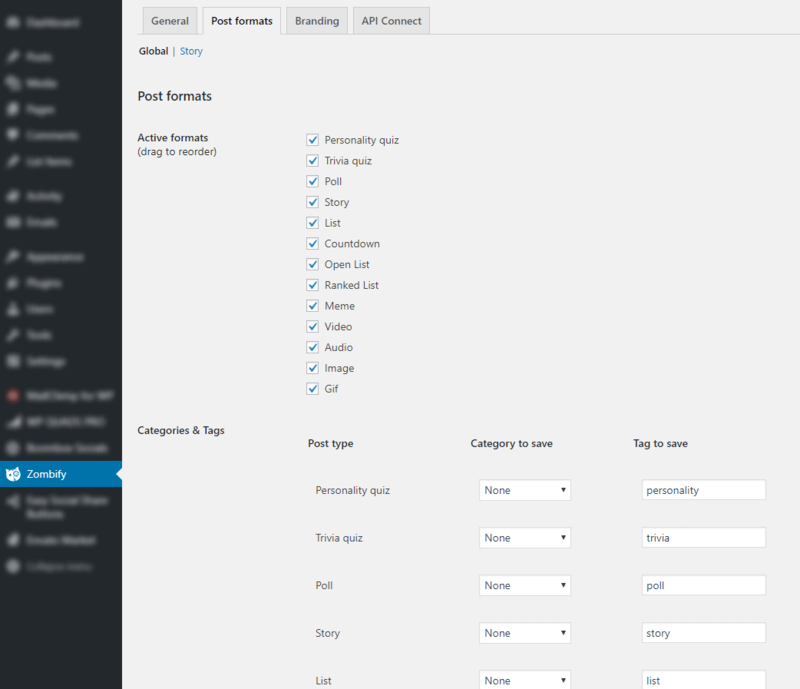 using this option you can choose what post types will be seen for users from front end. this option give you opportunity to choose category and tag for each type by default. Default categories will not be shown for the chosen post type from front end. 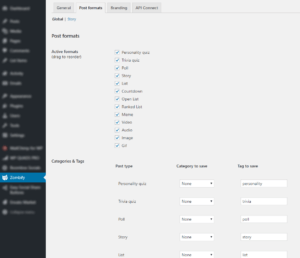 using this option you can choose what components will be seen for story type to users from front end. 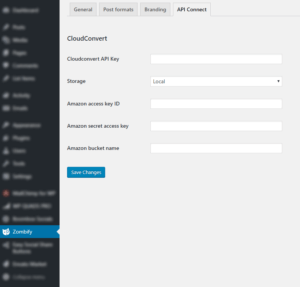 Beside main CloudConvert converter settings, which you can manage in Customize section, we also added same functionality for Zombify plugin, they act separately and doesn’t synchronize. 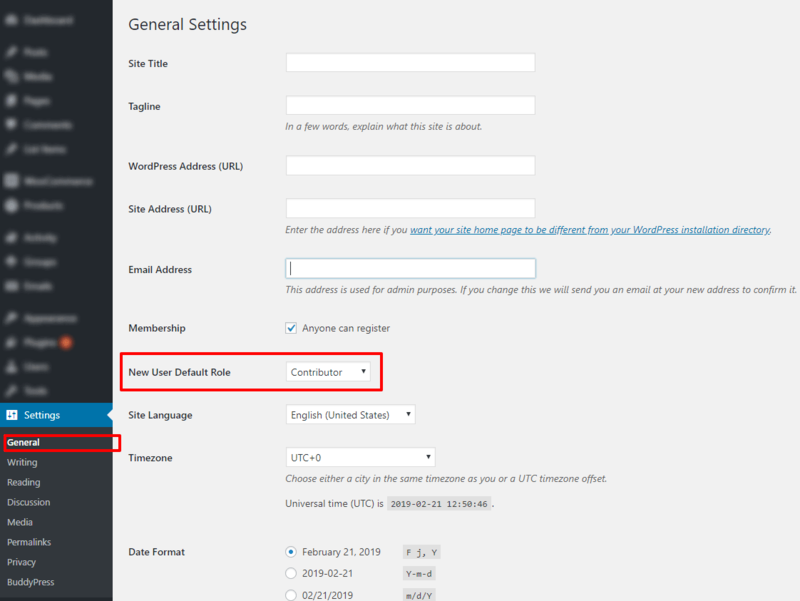 So if you even have already activated it from Customize, it won’t work for GIF files created from Zombify plugin, until you don’t activate the same settings in Zombify plugin. 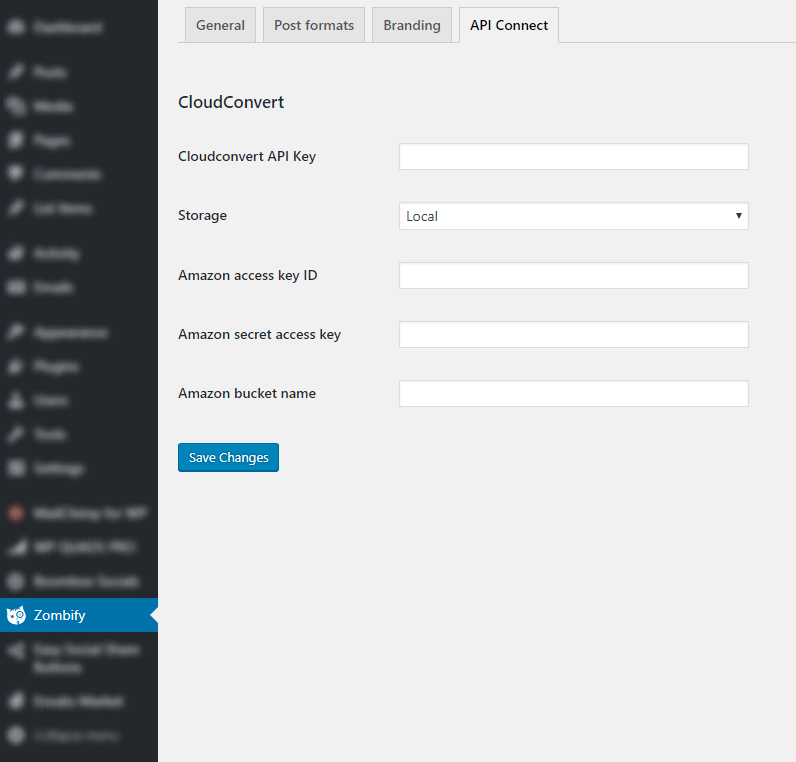 For detailed information about what is Cloudconvert please read this article. 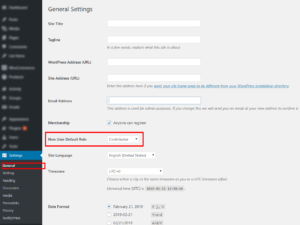 Publish date option appear only for admin and editor roles, by this option they can change publish date. By default, we provide our set of memes, but you can change or add your own set of memes via the child theme. To add your own set of memes go to wp-content/themes/your active theme and create this path \zombify\assets\images\meme-templates, after that system will show default meme images only from that folder \meme-templates. If you want to save main memes set, just add images from this zip file to that folder. How to limit Zombify post types for specific user roles?